Do you have a car stereo that you are no longer using? Do not just let it rot in the garage? Rather, you should think of a good way to bring it into good use. With this, why not power it at home? It is a good idea to convert it to a home stereo and enjoy good music. We are here to show you how to power a car stereo in your house. By now, you are most probably wondering why you would even bother using a car stereo. Well, there are many reasons. Many of the car stereos are feature-rich and they can create astounding audio quality. They are also rugged. And most of all, you will be able to save a lot. If you no longer use your car stereo, you do not have to buy a new one. With patience and ingenuity, you can use it in the comfort of your own home. How is this possible? Keep on reading and we’ll let you know how this can be easily done. Before you even start the process of converting your car stereo into a home stereo, make sure that you have all of the materials that you will need. In this case, you should have the car stereo, speakers, speaker wires, cutters, electrical tape, and a 12-volt power supply. Start with connecting the speaker to your stereo system. Generally speaking, most of the car stereos can handle up to four speakers. Make sure to properly have the wires identified so that you will know at which port they need to be connected. If you are connecting two front stereo speakers, the white and white/black wires should be connected to the left speaker. Meanwhile, the gray and gray/black speakers should be connected to the right speaker. On the other hand, if you have four speakers, the green and green/black wires should be connected to your second left speaker, while the purple and purple/black wires should be connected to the right speaker. To have the wire connected, about 3/8 inch should be stripped from the wires and should be twisted together. An electrical tape should be used for covering the joint. Now, it is time to look for the black, yellow, and red wires from the wiring harness of the car stereo. Having the insulation stripped at about 3/8 inch from the tip of the wire. The yellow and red wires should now be wrapped together. Once this is done, have them connected to the positive terminal of the 12-volt AC/DC power supply. The black wire, on the other hand, must now be connected to the power supply’s negative terminal. In most cases, there will be a screw on the part of the power supply where the wires will be inserted. Remove the screw first and have it screwed back once you are done putting the wires. Now, you are almost ready. Have it plugged in the socket, turn on the car stereo, and enjoy powerful music at the comfort of your own home. One of the most important things is to make sure that the right types of wires will be used. If it is too small compared to the power requirements of the speaker, it might end up being unable to produce the sound quality that is anticipated. This could also lead into having the wire burned. 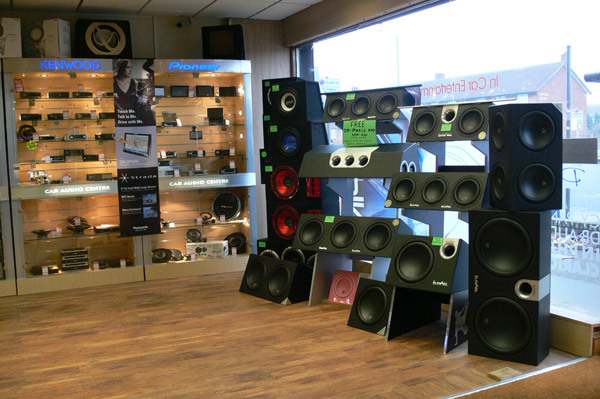 You might also want to consider changing the speakers that you will be using in your sound system. Yes, you can choose to use the same speakers you have in your car, however, for more discerning users, you can use only the receiver from your own sound system and look for a speaker that can deliver more oomph. Looking for an excellent place at home to install your car stereo is also excellent. This means that you should choose a strategic location, making sure that the audio will not appear distorted. Ideally, it should be in a small room that is enclosed. If it is big, the sound may not appear powerful. Indeed, your car stereo can be useful even at home. It will help you to save while also being able to enjoy an exceptional audio experience. To succeed with this, make sure to follow the steps and tips that we have mentioned above. Regardless of how expensive your stereo system is, if it is not properly installed, you will not be able to enjoy an immersive audio experience.